MINI ANL FUSES, or AFS. Buy quality Auto and Marine Electric Parts and Accessories online, Sydney. 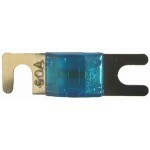 FFMINI-30MINI ANL fuse 30 ampBolt - in style Hole centres are 30mm, length is 42mm Available in ..
FFMINI-40MINI ANL fuse 40 ampBolt - in style Hole centres are 30mm, length is 42mm Available in ..
FFMINI-50MINI ANL fuse 50 ampBolt - in style Hole centres are 30mm, length is 42mm Available in ..
FFMINI-60MINI ANL fuse 60 ampBolt - in style Hole centres are 30mm, length is 42mm Available in ..
FFMINI070MINI ANL fuse 70 ampBolt - in style Hole centres are 30mm, length is 42mm Available in ..
FFMINI080MINI ANL fuse 80 ampBolt - in style Hole centres are 30mm, length is 42mm Available in ..
FFMINI100MINI ANL fuse 100 ampBolt - in style Hole centres are 30mm, length is 42mm Available in..
FFMINI125MINI ANL fuse 125 ampBolt - in style Hole centres are 30mm, length is 42mm Available in..
FFMINI150MINI ANL fuse 150 ampBolt - in style Hole centres are 30mm, length is 42mm Available in..